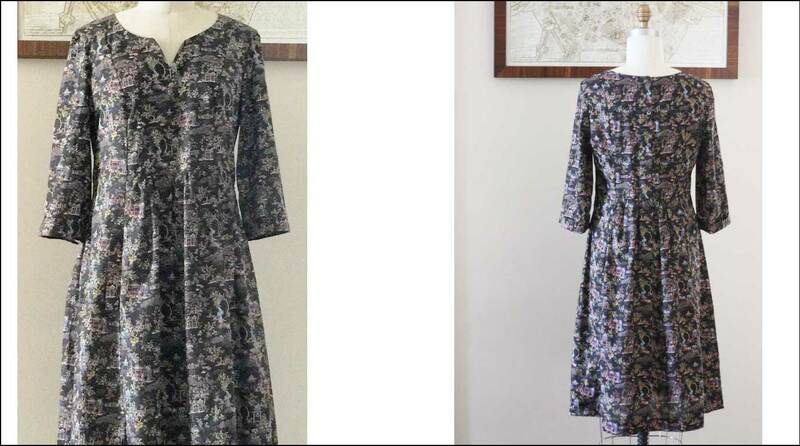 mid-length and flowy featuring delicate buttons up the back and ever so handy pockets in the front too! i made the size six in the pattern which happens to be the size of my friend and the dress form. of course, i couldn’t resist but to try it on myself too! it does fit me, but i would make a modification to the waist portion of the dress for myself. i have a rather large rib cage and i found that it fell sort of too high on my torso. 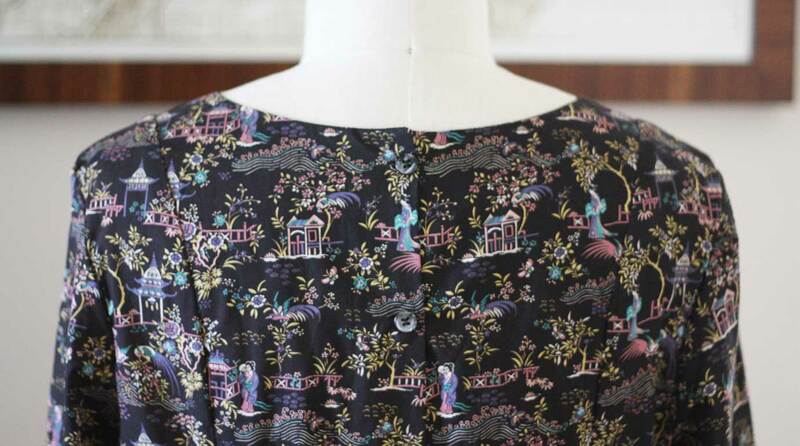 the cinema dress is a wonderfully written pattern that i found super easy to follow and filled with useful tips and tricks. 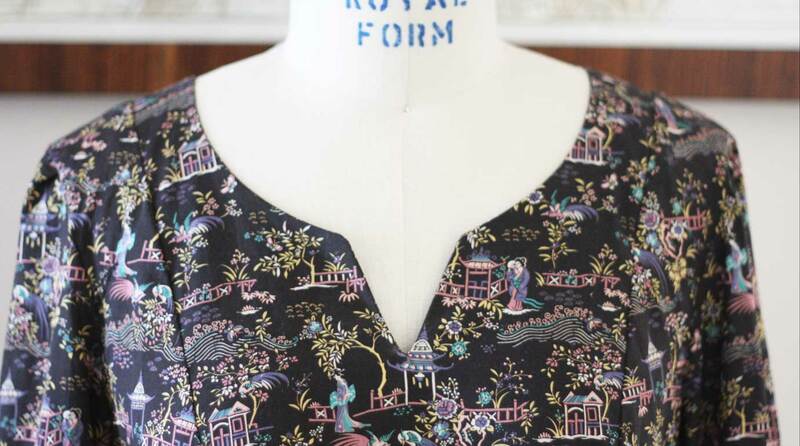 the only addendum i would make is that if you’re using a directional print, like peony pavilion, one of the cutting patterns will not work (i believe it’s cutting layout “c” but will confirm when i relocate my pattern). 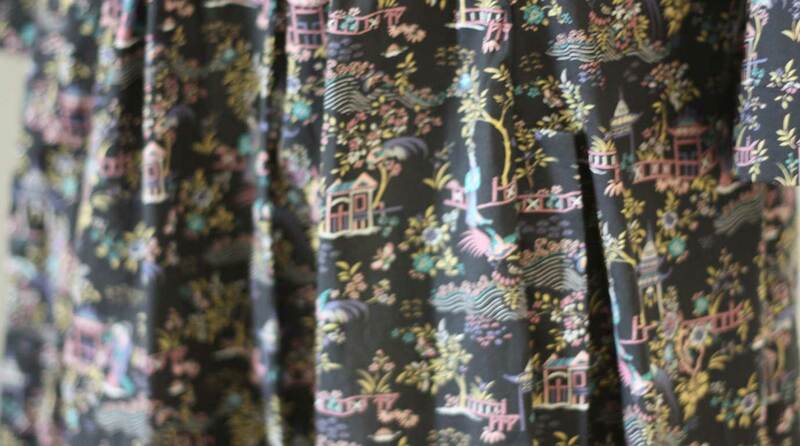 Love this pattern. You have to make me one.